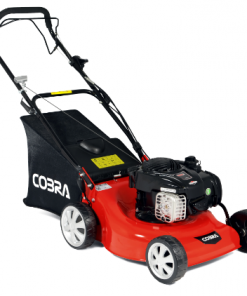 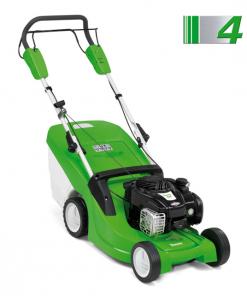 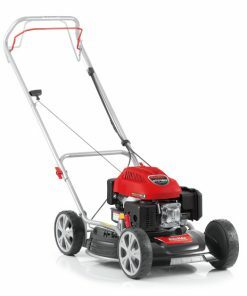 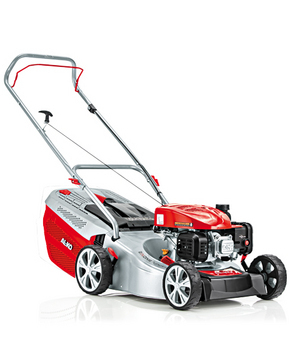 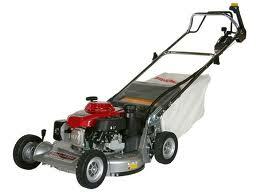 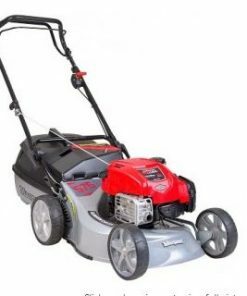 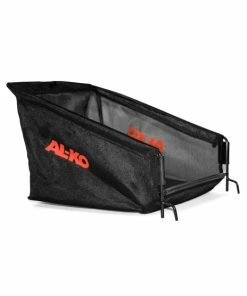 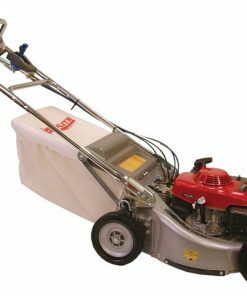 The AL-KO Highline 42.7 P-A is a 42cm (16″) high quality petrol lawnmower with mow, collect and mulch functions. 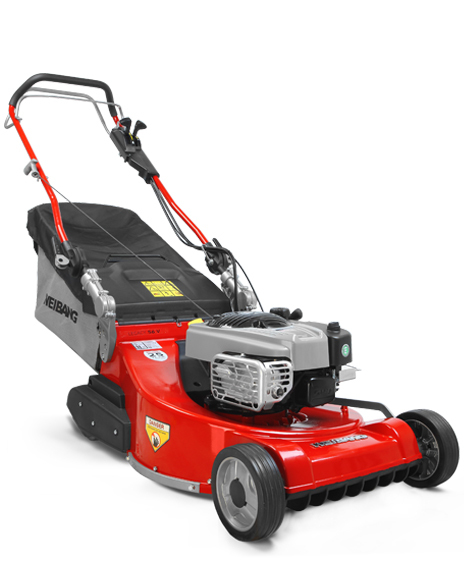 Designed for gardens up to 800 m2, this high quality mower features a 7-Stage cutting height adjustment, and a 65 litre collection box with optimum aerodynamic airflow for maximumum filling capability and the fill-level indicator lets the user know when the box requires emptying. 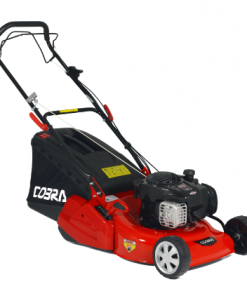 The ergonomic shaped handles and XL rear wheels make the Highline 42.7 P-A comfortable and easy to man-oeuvre.